In August Ohio joined a select group of states nurturing the development of blockchain technology. Gov. John R. Kasich signed into law a measure enabling development of a wide range of new uses for the cutting-edge technology. The law could further boost the state’s already vibrant financial services sector as well as spur additional innovation across the state’s economy. The development of cryptocurrencies such as bitcoin is just one application of blockchain technology, among many others. Fewer than 10 states have passed blockchain-focused legislation designed to improve conditions and attract investment. 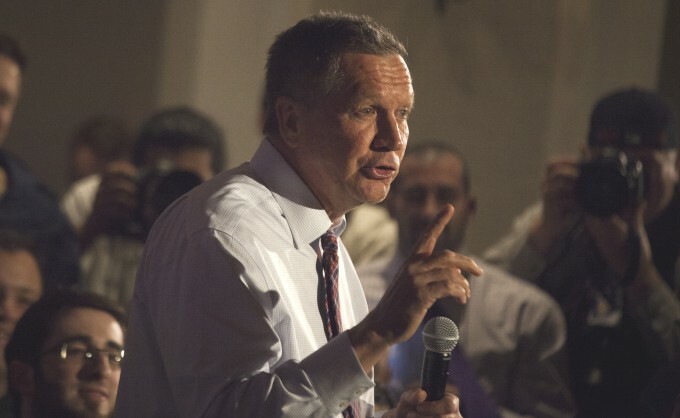 A few days before Kasich signed Ohio’s new law, the U.S. Treasury Department issued a report with more than 80 recommendations meant to encourage the development of fintech such as blockchain and help the U.S. market keep up with its European counterparts. The report also recommends federal and state regulators create a “regulator sandbox” to stimulate development of fintech technologies and businesses. It is critical that Ohio and the U.S. compete aggressively for fintech entrepreneurs and their technology. Global fintech investment is soaring. In the U.S. alone, a record $58 billion was invested in the first half of this year, up from $38 billion invested for all of 2017, according to a KPMG Pulse of Fintech report. The new law is now an additional asset in Ohio’s toolbox facilitating business and innovation. The most obvious applications for blockchain technology are in the financial services sector, representing immense opportunity for Ohio. Financial services is the second-largest private sector within the state. Ohio is second only to New York City as a location for top U.S. bank and insurance company headquarters. And with 220,000 employees, Ohio’s financial services workforce is comparable in size to New York’s financial workforce and is larger than the City of London’s. This is largely because Ohio offers a growing list of advantages to existing corporations headquartered in Ohio, as well as to fintech companies looking for a soft landing to expand. The state has no corporate income tax, a tech-savvy millennial workforce, a collaborative innovation environment and low cost of operations, compared to other digital hubs. Ohio’s new law will further strengthen the state’s position at the forefront of innovation. JobsOhio, a privately funded nonprofit economic development corporation, also is prepared to assist, including a new $100 million R&D grant program. Efforts to promote the business and government uses of blockchain technology and the development of innovation and research communities are underway in Columbus, with its Smart City initiative, and in Cleveland, where leaders are proposing the Blockland initiative. Much discussion continues throughout the country and all over the world on how best to respond to blockchain’s growing use. Many countries, most notably China, Japan and some Scandinavian countries, have passed various laws promoting the use of blockchain technology in a bid to digitize their economies. Now Ohio has joined that group in leading the way to welcome blockchain innovators and foster the benefits they bring to industries and communities.